Rotary Drum Coolers are 72″ or 78″ diameter augers covered with round hole perforated skin sheets, and that assembly resides half submerged. Product enters the cylinder through an open throat, water-cushioned entry design that keeps pouches safely handled while being cooled. 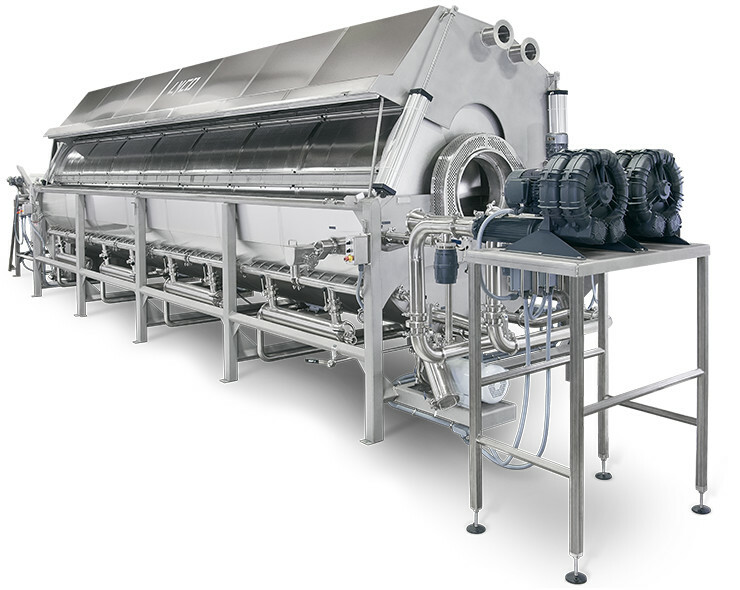 As they proceed through the rotary drum cylinder, the pouches/tubs are totally submerged in water, then gently stirred using proprietary Hydro-Flow® technology. 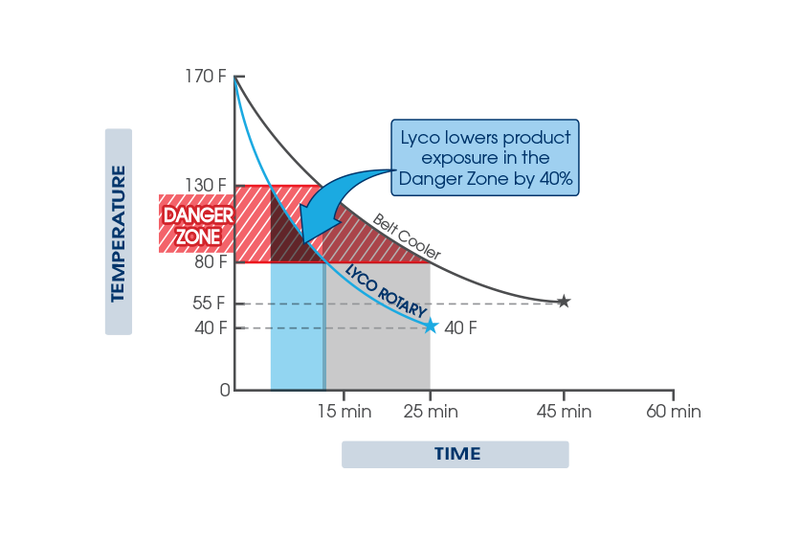 Hydro-Flow agitation keeps pouches suspended in motion which cools 40% faster than sitting statically on a belt conveyor. This method ensures product is quickly cooled all the way through to the center of the package. Larger pouches exit the machine via a belt and smaller ones through a discharge chute.